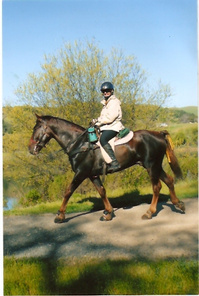 My name is Heather Williams and my handsome horse is Babe's Jubilee, a 15-year old registered Spotted Saddle Horse. The photographer was my loving fiance Jeffrey Rigby who walked/ran the entire length of the 12 mile competition trail to journal our participation. Babe wears Old Mac G2's with the firm support comfort and frog pads with pastern wraps. These photos were taken during our participation in the Nokesville Horse Society's Crystal Crown Series Judged Trail Competition on November 2nd, 2008. The location of the competition was at the beautiful Sky Meadows State Park in Delaplane, VA. We had a blast in the competition and told everyone about the benefits of EasyCare products. We are training for our first 25 mile endurance competition in Spring '09 which we will be running in our Old Mac G2's as well. Sincerely, Heather Williams & "Babe"
EASYCARE NEW HOOF BOOT LINE.....ORDER NOW! You can now place your orders for the new boots and product offered by EasyCare. Easyboot Glue-On, Easyboot Glove, Easyboot Edge and Easyboot RX. We will also have the Comfort Pads available in the new densities....soft and firm. Product will be available for shipping in February. Get your order placed now so you can be some of the first riders with the great new product coming to the horse world! Hoof Boots: Crutch or Tool? The following article written by Thorsten Kaiser,Institute for Barefoot Equine Management is in the current Winter issue of the Horse's Hoofmagazine. If you would like to read the other informative articles available in this issue, click here to subscribe! 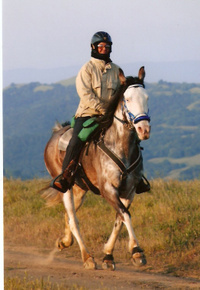 On the Barefoot journey with our horse, many of us have asked the question: Are we still Barefoot if we use hoofboots? The answer is not a simple yes or no, however. This article will clarify the different aspects to consider. When we look around and see the hooves of successful barefoot horses, we see tough hooves that have nice concavity, tough frogs, no white-line issues, and strong hoof walls-they just look great. Those horses seem to be confident and sure-footed over any terrain, without any hoof protection. However, in many cases those hooves have not always been so healthy. In order to get where they are now, they had to go through two phases: Transitioning and Conditioning. In the Transitioning phase, the unhealthy hoof, stimulated through movement and a style of trimming that restores hoof function, will change to a healthy situation and grow stronger. The photos to the right show the comparison of a hoof at the beginning and end of transition. At the start, the hooves display flare in the hoof wall, underslung heels, bars that are long and pushed forward over the sole, distorted/curved coronet, thin soles, poor concavity, and contracted heels. All these symptoms are the result of incorrect lever forces acting on the hoof, causing distortion and reduced horn quality and quantity. Simply applying a hoof boot to this situation without addressing the underlying problems will not lead to long-term success. While correct trimming aims to remove those lever forces, the horse needs time to heal and grow a healthy hoof. 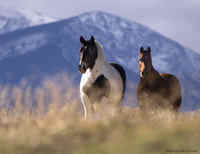 In response, the horse moves carefully and sensitively over slightly rough or lumpy terrain. 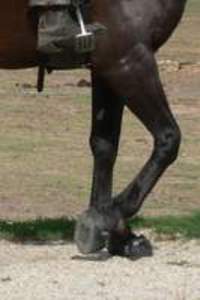 The horse, in order to control the impact and loading of the sensitive parts of the hoof, often chooses a toe-first landing over the desired heel-first landing of a sound horse. Properly fitted hoof boots create a firm but yielding environment with no lumps and bumps that can cause excess pressure to the transitioning hoof. The horse quickly gains confidence in putting the foot down and using it correctly. As a result, you get a happier horse that moves more correctly, and therefore transitions to a healthier hoof a lot faster. You also get a happier horse owner who now will ride the horse more often, and the increased movement will also speed up the Transition to Barefoot. At the end of the Transitioning phase we have a horse that has developed healthy hooves and is sound on the terrain it lives on. In order to get the horse sound over gravel roads, rocky tracks, riverbeds, etc. it now has to go through the Conditioning phase. This means gradual and consistent exposure to these types of grounds, so the hooves have a chance to get tougher. Ultimately, the goal is to ride your horse over a variety of terrain without any hoof protection. However, depending on where you live and how much time you have for riding, it may not be possible to truly condition the hooves properly for the rougher terrain. In this case, the use of hoof boots will allow you to access more challenging terrain, without compromising the important heel-first landing. Hoof boots, when used in conjunction with trimming that restores proper hoof function, can be a helpful tool to speed along the Transitioning phase and can be essential to keeping healthy hooves moving over rougher terrain when Conditioning is not possible. There a two videos on Youtube.com that really show how a barely walking horse with navicular and a euthanasia date can be totally transformed being barefoot. Inspired by Pete Ramey's book, "Making Natural Hoof Care Work for You." Watch the inspiring videos on Hero and his journey from navicular to Easyboot Epics with comfort pads to being pain free. The EasyCare August newsletter has a very informative article written by Dr. Christine King on the shoes vs. barefoot debate. If you have any interest in this topic, you have probably read numerous articles on the subject already! What makes this piece different, is the focus is on one particular aspect of the structure and function of the horse's foot that doesn't usually make it into the debate: the sensory functions of the hoof. Remember, as the article states at the end, some horses cannot comfortably go barefoot completely and may need the protection, support or traction afforded by a well chosen boot. To read the article in it's entirety click here. If you have not signed up for our monthly newsletter and would like to click here. Transitioning to Barefoot? - 8 Keys for Success! A lot of customers I talk with everyday have heard of the barefoot horse from other horse owners and really want to do it also, but aren't really sure what steps to take to accomplish this. Listed below are some tips from Jay & Q at High Performance Hooves that will ensure a successful transition. If you would like more detailed information on each of these tips, or an abundunce of other great information for transitioning to barefoot; please visit the High Performance Hooves website at www.highperformancehooves.com. As always, EasyCare can answer all of your questions regarding transitioning to barefoot such as sizing on Easyboots,the difference between the Epic and the Bare boot or even which boot is right for your horse. You can contact us by clicking here or calling 1-800-447-8836. Happy Trails! 1. Be Patient. Your horse will need time to transition, it will not happen overnight. In some cases it could take a year or more. 2. Purchase hoof boots and pads. Use boots and pads when needed. If your horse in any way shows tenderness in it's feet, USE YOUR BOOTS! 3. Keep your horse trimmed on a regular basis. This means even in the winter when you do not ride. Expect to have your horse trimmed every 6-8 weeks. 4. Feed your horse the least amount of sugar (non-structural carbohydrate) as possible. Don't worry, your horse will not starve. Feed a diet of grass hay and minerals that are required for your horse's health and clean water. 5. Place pea gravel in an area your horse must walk through daily. This location will usually be around the water tank. Pea gravel stimulates the sole, frog and digital cushion. 6. Use your horse. A stationary horse is not using its' feet. Do not force movement of your horse, but, promote it. 7. Clean your stalls and paddock areas. The best tool for preventing and curing hoof fungus and thrush is a shovel. 8. Learn about the Barefoot trimming process. Learn to identify a healthy foot, a divergent hoof angel, etc.. If you haven't gone barefoot yet and are thinking of doing so you must visit High Performance Hooves who offers a world of information on natural barefoot hoof care and horse health. Jay Dehart, Team Easyboot Member, with his extensive training in hoof care talks about natural trimming and the importance of it. Using the natural wear pattern of wild Mustangs as a basis, High Performance provides a hoof trimmed similar to how a horse would wear down it's hooves if he traveled 20-30 miles a day like the Mustangs and feral horses. Diet and living conditions are also incorporated into these trimming methods. Jay speaks out on booting your horses and is a firm believer in Easyboot Epics for riding and for therapy. 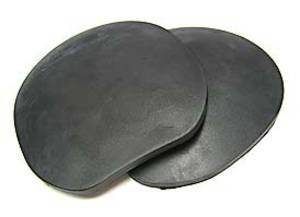 He also recommends comfort pads to be used along with the boots to provide comfort to horses with hoof issues including Founder and Navicular. Jay says "Pick the boot that fits your needs and easy to put on." Jay's site is filled with education on healthy barefoot horses and the keys to successful transitioning. No matter what type of boot you choose to use EasyCare can help you find the right one! Your beautiful horses Diesel and Jules pictured above show how lucky they are to have Jay and Q as their owners. Happy Trails! There is only 4 more days to take advantage of our great website sale on the EasyCare Dome pads. Select 4 pair of same size pads, insert the promo code at checkout, and your order will be discounted by the price of one pair of pads! You will essentially get 4 pair for the price of 3 pair. You must purchase at the EasyCare website to receive this special. Please remember to check our website often for different sales, promotions, giveaways and boot happenings. Happy Trails!!!! Riding season is upon us, so if you want to stock up on EasyCare Dome pads for your boots, go to our website for the May sale. We also have instructions to show you the correct way to get a great fit in the EasyCare line of boots. Click here for instructions. Happy riding to you and comfy steps to your horse! Here at EasyCare we always keep our eyes open for interesting articles on barefoot horses, barefoot trimming, and the benefits of keeping your horse barefoot. After reading the article "Daring To Go Barefoot" at the horseandhound.co.uk website, it is apparent to us that the barefoot movement is spreading worldwide at a fast pace. In this article from 2004, author Kathy Carter suggests that once you determine you are ready to go barefoot, there are various specialist trims to consider. These include: The Strasser Method, The High Performance Trim (HPT) and the Jamie Jackson method. The article suggests that published, scientific data on "going barefoot" is scarce, which is why anecdotal evidence, whether it be positive or negative, is our main source of reference when it comes to removing our horse's shoes. This article mentions how putting a non-cushioning plate between the horse and the ground removes most of the foot's natural shock-absorbing properties, causing concussion. Which is why it is important to use EasyCare comfort pads with your EasyCare hoofboots especially during any transition period from shod to barefoot. Here's a great article everyone should take time to read, it's about creating all-terrain barefeet . The article has so much valuable information on how we turn a soft mostly deformed and dysfunctional foot into a rock-hard fully functional foot. Achieving barefoot performance is simple but there is more to it than just pulling off the shoes and jumping on and taking off for a ride! First you heal the damage, by returning the feet to the correct parameters and keeping them within a functional framework. Condition the feet, keep those hooves clean and trimming cannot be stressed enough. Small trims are suggested every two weeks or so in order to keep the hoof fully functional at all times. The terrain a horse lives on is the key to conditioning. If possible, a horse's living quarters should resemble the surfaces that you wish to ride on. Killing infections, diet and hoof maintenance all play important roles in creating healthy feet. The article also states, the use of hoof boots when used in conjunction with concussion pads , provides immediate comfort and therefore confidence so that the horse returns to correct heel first landing. EasyCare agrees! Thanks again for the pads! Soundness is dependent on the development of the inner structures in the back part of the hoof, digital cushion and the lateral cartilage. 3. Ride with boots with FOAM PADS. Do not periphally load your horse (shoes, or a hoof in a boot without a pad). The dome pads work great for this. 1. It is about growing in a healthier hoof from the coronet band down. I can not affect what is already there, but I can grow in a better hoof. 2. Trimming from the top is cosmetic 90% of the time. 3. Place the mustang roll bevel underneath the hoof, and just lightly finishing from the top - I want a thick hoof wall and too much rasping from the top is counterproductive. 4. Long toes are very common in domestic horses and affects optimal movement. Work on taking toes back by setting breakover and bevel from under the hoof. Oh, I learned so much, but these were the biggies. I am really going to be looking at hooves with new eyes, with the focus being on what is happening on the inside and how the horse's hooves are adapting to other influences in the body (saddle fit, injury, imbalances). Radiographs really help with figuring out what is going on internally and I encourage all horse owners to ask their vet to take a set of lateral radiographs if you are specifically concerned about long toes or hoof development.